We supply an affordable skip hire service in St Albans. As a truly local skip hire company, we're able to keep our prices low and our service levels high - that's why we're happy to make you our price match promise! So whether you are clearing your garden in St Stephens, fitting a new kitchen in Fleetville or having foundations dug for an extension build in Park Street, Harpenden Skips have the perfect skip hiring service for you. We’ve got skip hire in St Albans fully covered! Harpenden Skips have different recycling centres across the South East of England, we can deliver any skip size in St Albans on any date that suits you. 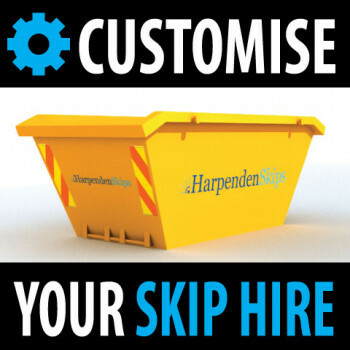 So if you need professional, reliable and cheap skip hire in St Albans at market leading prices look no further than Harpenden Skips.